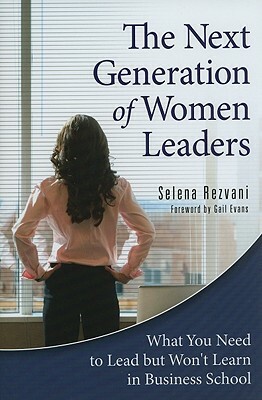 Over the course of a year, Selena Rezvani interviewed women executives in various industries, roles, and job functions, including Jamie McCourt, president of the Los Angeles Dodgers, Denise Incandela, president of Saks Direct at Saks Fifth Avenue, Roxanne Spillett, president and CEO of Boys and Girls Clubs of America, and Naomi Earp, chair of the Equal Employment Opportunity Commission. The result is The Next Generation of Women Leaders, a penetrating, eye-opening, and ultimately empowering narrative, filled with stories of remarkable women who navigated the leadership maze and triumphed. While the leadership landscape may be shifting in women's favor, women are nowhere near an equal presence in leadership roles when compared to men. Rezvani's achievement was to engage some extraordinarily accomplished women as mentors, each of whom provided tools and information that young women can use to shape their own careers. The Next Generation of Women Leaders encourages younger women to be their own advocates when it comes to professional growth and advancement, and it provides tangible how-tos on negotiating the workplace as a woman. Selena Rezvani serves as president of Women's Roadmap, a consulting firm dedicated to propelling more women into the top echelons of business. For more information, visit www.womensroadmap.com.